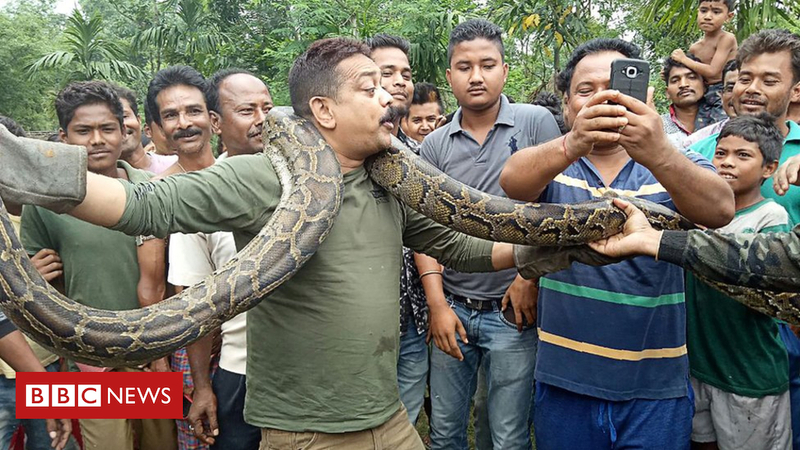 An Indian forest ranger had a narrow escape after a rock python briefly attempted to strangle him while he posed for pictures with the giant snake. 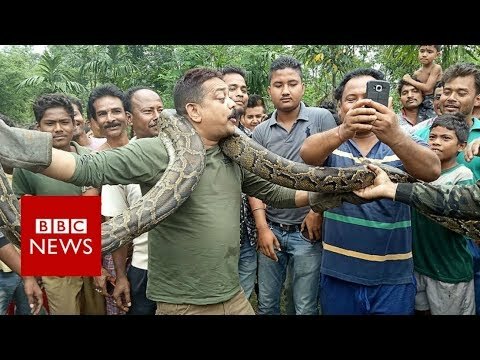 Sanjay Dutta was called in by frantic villagers in Sahebbari, West Bengal after they saw the 18ft (5.5m) python swallowing a goat. After rescuing the goat, the official picked up the python, wrapped it around his neck and posed for pictures. But Mr Dutta was almost strangled when the animal wound itself around his neck, forcing him to struggle to free himself from its grip. He escaped unscathed.